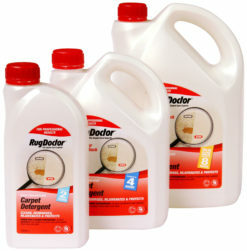 For best results, pre-treat heavily soiled areas with Rug Doctor Pro Traffic lane Cleaner. 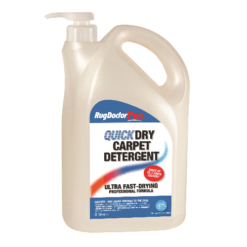 Use Rug Doctor Pro Anti-foam if spray foam cleaners or shampoo have previously been used. 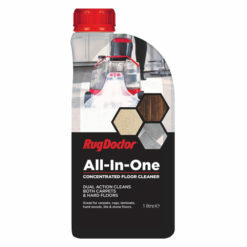 Highly concentrated formula means you only need to use 1 part chemical to 100 parts water – extremely economical! 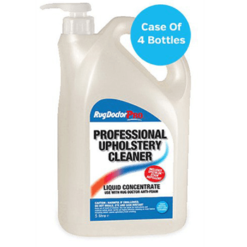 can differ depending on which machine you are using. DO NOT use hot water and only use luke warm water when cleaning wool carpets. 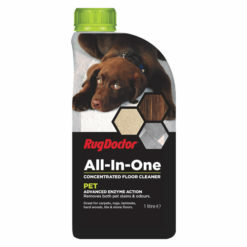 area and blot to check for colour-fastness. 5. 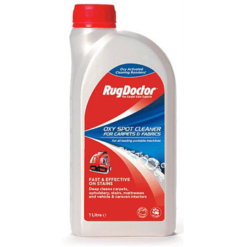 Start cleaning using a Rug Doctor Pro machine. NB: Use of this Rug Doctor Pro Carpet Detergent in a non-Rug Doctor Pro Machine is done at the risk of the user.